"LAYOUT" is a layout control, a DLL written in VIP7.3, allowing layouts of several child controls to be displayed in a form or dialog. 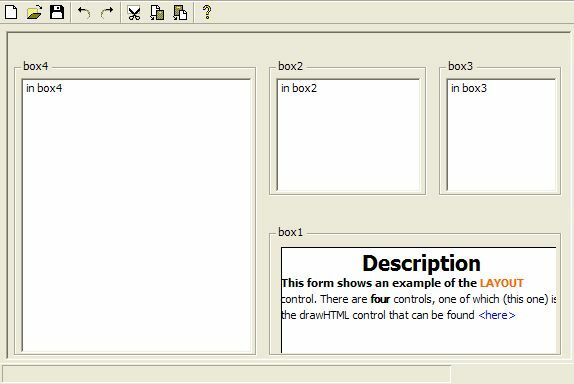 One control is displayed in one "pane". It replaces SplitN_Control. There is no limit to the number of panes/controls. This page was last edited on 5 August 2013, at 04:15.